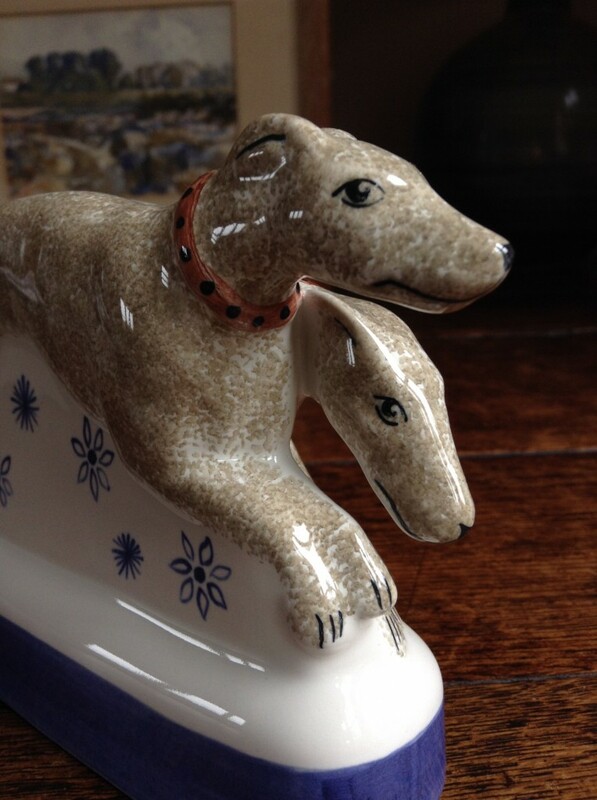 Our ceramic Hounds and Dalmations have travelled the globe far and wide and are particularly popular with dog lovers. 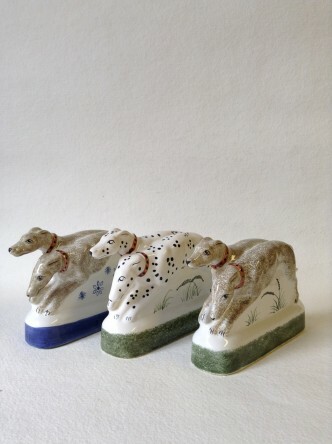 These elegant dogs are available as delightful spotty Dalmations or in London Stone Sponge with a Leaf Green base. 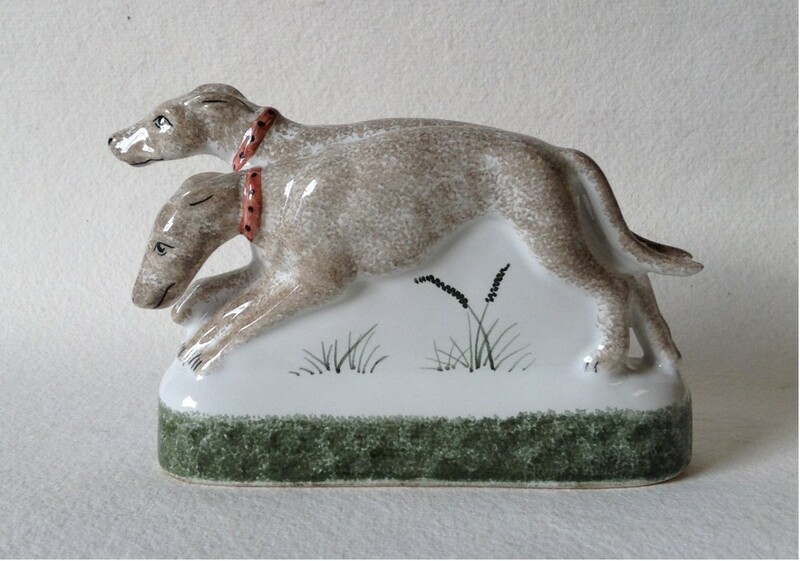 And new for 2013, the Hounds have finally made a return for our Chaucer collectors too. 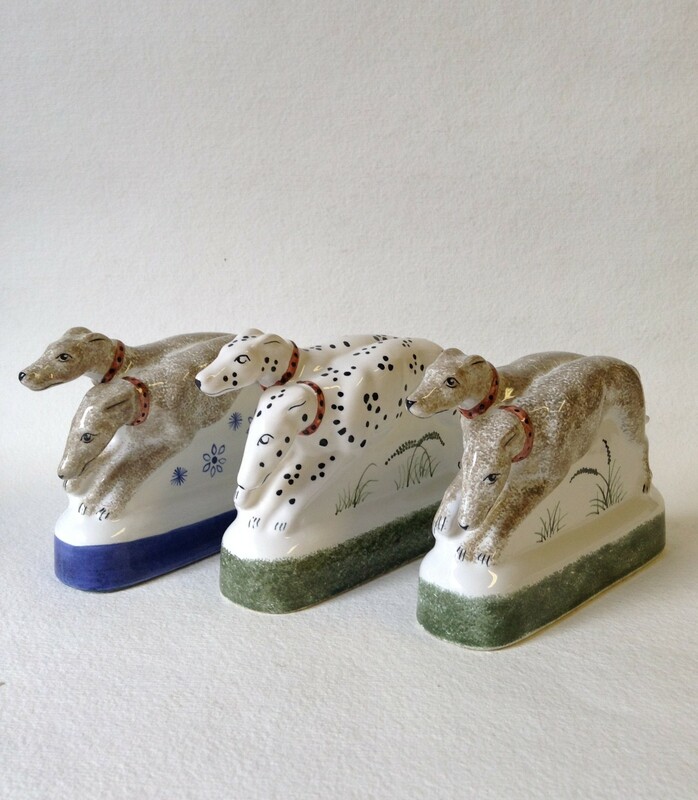 So they’re now available decorated with London Stone Sponge but critically the base on this version is painted in the Chaucer range’s classic soft Cobalt Blue, Star & Daisy base. This figure was originally designed to accompany The Monk from our Canterbury Tales range and is modelled by Tony Bennett.